Fittingly, the photographs for this album conjure images of cabaret, circus, theatre. A troupe on rehearsal or performance time. The brilliant photographer Samira Schulz manages to convey the band's unique talent so well through her images. Pity I could not find more about the art direction of this. I will update as soon as I do though. I love album covers that make you travel along with the music inside. Update 21st of April 2010: The talented Samira informed me that she did the art direction herself as she usually does. Art Directing is her main area of focus right now, she is i Argentina currently but coming to Europe again soon! Thanks Samira! Moloko turned to famous English illustrator Lizzie Finn for this cover. She works primirily with embroidery and stiches, a medium she definitely commands (her clients include Nokia, Vitra, the band Oasis and Vogue). 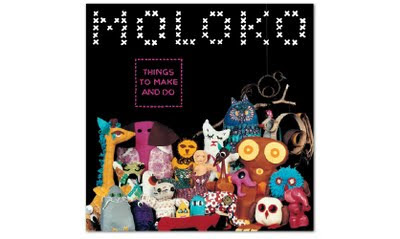 Lizzie Finn created the full graphics concept for the Things to Make and Do album campaign. 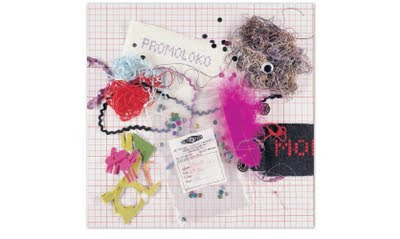 This included not only the complete sleeve design of the LP itself - the booklet in which the lyrics appeared to be instructions for making the hand-made stuffed dolls on the cover itself - but that of the single releases from the LP, including the UK #2 hit, "The Time Is Now". This led to Finn producing the sleeve art for Moloko's 2001 remix album, All Back to the Mine, and Oasis' 2003 single, "Songbird" (UK #3). And my mother kept embroidering table covers, ha! Photography was by Barneby & Scott. Fantastic. As an embroiderer, I can appreciate this.